Victor Bout, the purported "Merchant of Death," will never receive a fair trial in the United States, declares best-selling author Daniel Estulin, commenting on the recent charges brought against the alleged arms dealer in United States District Court by the US Attorney for the Southern District of New York (S1 09 Cr. 1002) on Wednesday, February 17. This new Bout indictment reveals the monotonously banal necessities of empire trumping the human ideals of our republic. Estulin’s investigative research goes far beyond the popular view of Bout, which has been nurtured by sensationalist reportage using unnamed sources and unfounded accusations plus an unabashed Hollywood demonization. Currently fighting extradition to the US, Bout has been in Thai custody for almost two years. 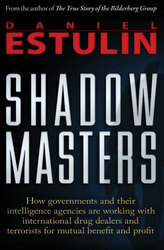 For the past six months, Estulin has attended countless court appearances and interviewed major players, including many extended meetings with Bout in Thailand, for his new book, Shadow Masters. Combining an unprecedented access to Bout, more than two years of research, and intelligence reports from a wide range of covert sources, the book presents an unshackled portrait of official arrogance. "We're an empire now,” quipped an aide to President Bush in 2004, “and when we act, we create our own reality. And while you're studying that reality — judiciously, as you will — we'll act again, creating other new realities, which you can study too, and that's how things will sort out. We're history's actors … and you, all of you, will be left to just study what we do.” Victor Bout’s legal travails stem from a Bush Executive Order of July 22, 2004, forbidding Americans to do business with him. So: Is the “tale” of Victor Bout, “Merchant of Death, aka “Lord of War,” simply a “created reality,” an imperial sleight of hand used to achieve hidden foreign policy goals? "To finish my new book Shadow Masters, I needed the Victor Bout story. The first draft of my manuscript was an indictment of Bout, and the entire vicious operation of arms dealers and gun traffickers. I came to Thailand thinking to myself, 'Well, this guy is here. I’m going to get it out of him, one way or another.' When I got here and I started investigating the truth of the story, I realized it was just a pack of lies. There was no evidence behind it. A shadow play run from behind the scenes by very powerful people, foundations, think tanks, and governments with far-sighted agendas The more I delved, the more I realized: This guy is not guilty. He was set up. "I’ve had long, two-hour interviews with Bout, and I am the only person from the western media present, no one else is here [Thailand]. Stephen Braun and Douglas Farah [authors of Merchant of Death] are not here. Farah has never met Victor Bout; he has never even actually talked to him. The more information I gathered — from Bout, from people around him and from sources in the intelligence community — the more I discovered that the whole thing was a huge farce. None of it checked out. There’s not one piece of evidence. TrineDay publisher Kris Millegan comments, "When you look into it, behind the ballyhoo, you find no substance to the accusations. Charges in both Belgian and Thai courts have been dropped, mainly because of the lack of evidence. Coming on the heels of the recent Obama administration announcement that there will be no action against the attorneys who papered over the support and facilitation of torture by the past administration, this new Bout indictment reveals the monotonously banal necessities of empire trumping the human ideals of our republic." Estulin's new book, Shadow Masters, follow-up to his international best-seller The True Story of the Bilderberg Group, is presented by TrineDay, a publishing house in Oregon that specializes in suppressed history. Daniel Estulin is an investigative reporter whose work has helped to spotlight attention upon the Bilderberg Group. Last year, the Halcyon Group announced plans to produce a $100-million-dollar major motion picture based on those investigations.